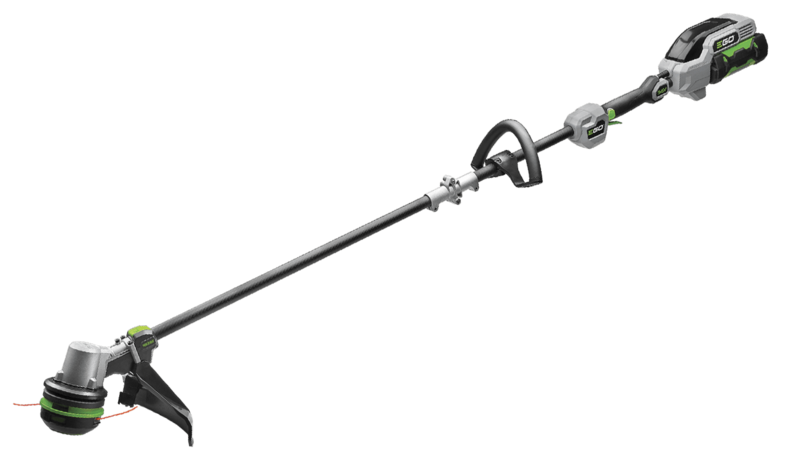 The world's first String Trimmer with POWERLOAD™ Technology. 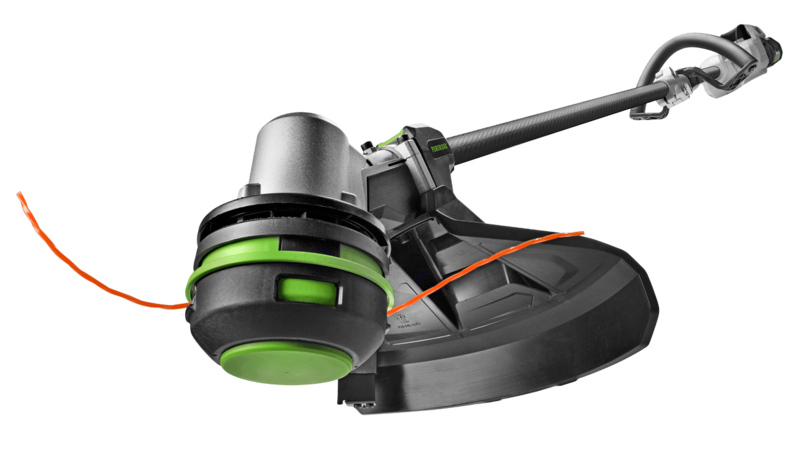 This patent pending technology solves for one of the biggest pain points of string trimmers, POWERLOAD™ technology automatically winds your trimmer. Replacing your string line is as easy as feeding the line into the head and pressing a button! The world's first String Trimmer with POWERLOAD™ Technology. This patent pending technology solves for one of the biggest pain points of string trimmers, POWERLOAD™ technology automatically winds your trimmer. Replacing your string line is as easy as feeding the line into the head and pressing a button! 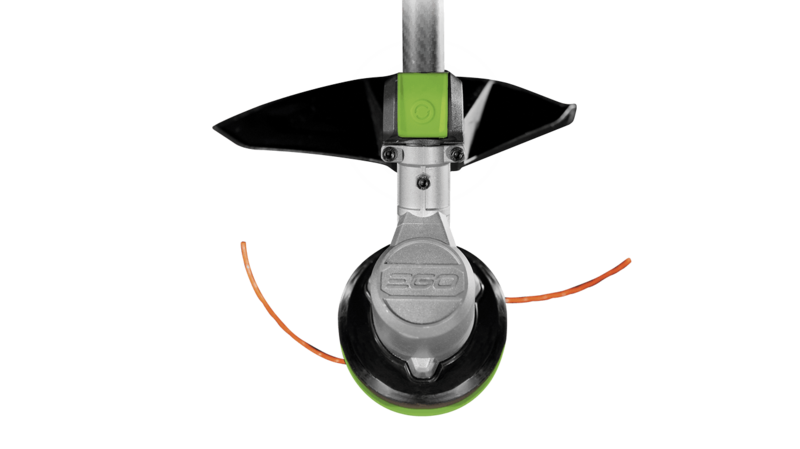 The EGO POWER+ 15" POWERLOAD™ String Trimmer has a Carbon Fiber shaft that is stronger than any other string trimmer shaft on the market today. The shaft is equipped with a lifetime warranty so the strength and durability is guaranteed to last forever! This revolutionary trimmer is also built with a high-efficiency brushless motor, bump feed line advance, .095" professional cutting line, and is compatible with all EGO ARC Lithium™ batteries to maximize the convenience of cordless and deliver Power Beyond Belief™. Push button load - WHAT? ...Somehow EGO has broken the code with this trimmer. This revolutionary tool puts an end to the tedious process of struggling to add line. The tool feels well built and performs as well as any gas trimmer I have used. The new POWERLOAD system on this trimmer is great. Works as easily as advertised, insert the string, pull it even and push the button. It is one of those things you can't believe no one had some up with before... May have to add "innovation beyond belief" to EGO's tag line. What is the model number of the replacement POWERLOAD™ head for this string trimmer? Please use model number AH1520.